The shenanigans around Aston Martin vs. Maserati at Sebring tried to put a bit of a downer on the season opener, and the accident that removed the Horag-Lista Lola from proceedings at Petit Le Mans was another event noted with some sorrow. The number of yellow flag periods in the Rolex Series was seen as a negative too, together with the disappointing pace of the factory, ALMS Panoz Esperantes after shining brightly early in the season. JJ Lehto missing out on the title disappointed our panel, with a mention also given to the continued lack of an appearance from Shaw Chassis Technology on the ALMS grid - a ‘project’ which needs to show something more than a rough rendering if it hopes to be taken seriously. The top (or in this case bottom) three though were led off by the disappointing pace of the Maserati MC12: a car which has been hugely strong in Europe, simply did not shine in the ALMS. The continued reliability woes in the LMP2 class caused furrowed brows too. 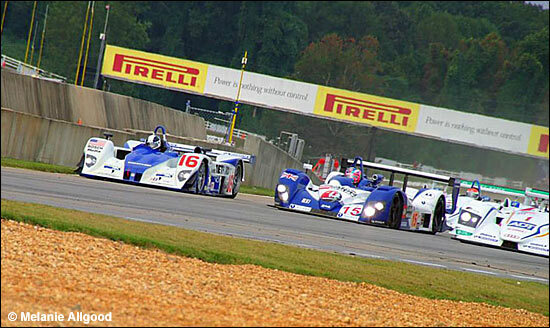 Penske Porsche’s entry in 2006 and increasing reliability from the new Lola will raise the game hugely. Other entrants will have to do better if they aren’t to be left trailing in their wake. The biggest downer here though was a series of events that took possibly 15 seconds from start (literally!) to finish. A race that had promised so much, with the ALMS’s best toughing it out against the car that had blitzed the cream of European LMPs, was left deflated in a small stack of carbon fibre and three sets of tyre marks. The debate still rages on as to whether any of JJ Lehto, James Weaver and/or Hayanari Shimoda were at fault, or just victims of circumstances. Any way you cut it however, the incident eliminated the Zytek altogether and effectively ended the chances of both the #1 Audi and the #16 Dyson Lola – it was dramatic, for sure, but 15 seconds into a 10 hour race it came just a little bit too early for comfort! The dailysportscar.com Disappointment of the Year 2005 for North America is Turn 1 at Petit Le Mans.